Subaru continues to set all-time sales records with the 2014 Forester, BRZ and Impreza WRX sales. But there is more to the story. Subaru sales are sizzling hot this summer, but there is a bigger story that is truly amazing. The brand is attracting new buyers at an astounding rate. 50 percent plus of their sales in August are to customers who have never purchased a Subaru before. All automakers try to get a new generation of customers into their showrooms. And if they can get 10 percent to purchase their vehicles who have never bought their brand before they are very happy and it’s been a successful day. But what Subaru is doing is unheard of. Subaru is doing so many things right and its showing up in record sales that continue month after month. The Japanese automaker is selling well around the globe but especially well here in the U.S. They just reported the best sales month in company history here in the U.S. They sold a record 41,061 vehicles in the month of August. That’s a huge 45 percent increase over August 2012. Year-to-date sales for Subaru total 281,652 is 29.3 percent higher than the same period in 2012. The company is on track to achieve its fifth-consecutive year of sales increases and the numbers are blowing away sales projections for the automaker. In a recent story from Automotive News, Subaru set a goal of selling 365,000 vehicles in the U.S. this year. But those numbers had to be revised because the brand is growing faster than projected which is being fueled in part by the new BRZ sport coupe. By midspring Subaru adjusted the target upward to 385,000, and now with sales blowing through the roof, they’ve adjusted again to 410,000 to 420,000. Even though it looks like Subaru is an overnight success, it’s been the result of a lot of smart decisions from the management team. “These sales milestones are the result of hard work, dedication and unwavering commitment to serving our customers and working cooperatively with our retail organization,” said Thomas J. Doll, president and chief operating officer, Subaru of America, Inc. 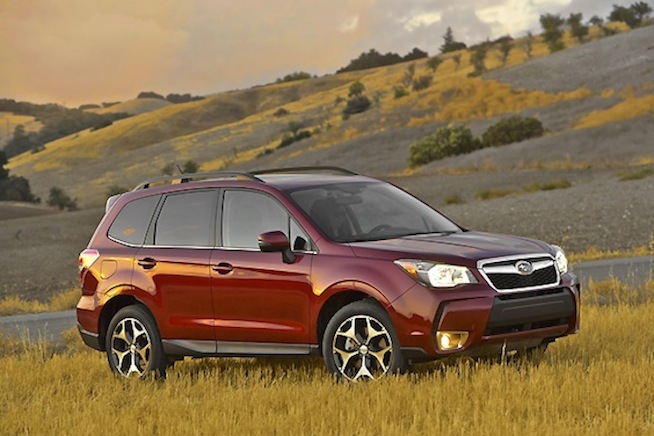 The all-new 2014 Subaru Forester is leading the way with 13,163 vehicles sold in August making it the best-ever sales month for the new mid-size SUV. Sales for Impreza WRX and BRZ reached 6,784 and 868 respectively, representing record-high August sales for both vehicle lines. Stay tuned for the latest Subaru news as we cover the launch of the new 2014 XV Crosstrek Hybrid from Subaru.